Top 20 Load Runner Tool Interview Questions And Answers. Top 20 Load Runner Tool Interview Questions And Answers. Latest Load Runner Interview Questions With Answers. Most Frequently Asked Load Runner Interview Questions For Freshers And Experienced. Load testing is to test that if the application works well with the loads from large number of simultaneous users and transactions. It also used to determine whether it can handle peak usage periods. 2. What is load runner? 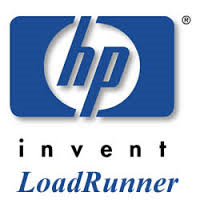 Load Runner is a performance testing tool from HP. This tool supports all aspects such as Load, Stress, Endurance, data volume and spike Testing. 3. What are all the components of LoadRunner? 4. What Component of LoadRunner is used to record a script? The Virtual User Generator (VuGen) component is used to record a script and it enables you to develop Vuser scripts for a variety of application types and communication protocols. Rendezvous points are introduced into Vuser scripts to simulate more users on the server. Rendezvous points instruct Vusers to wait during test execution in order to perform the tasks simultaneously. A scenario is nothing but an event that occurs for each testing session. 7. How can we debug a LoadRunner script? We can also manually set the message class within your script using the lr_set_debug_message function. 8. How can we perform functional testing under load? Functionality under load can be tested by running several Vusers concurrently. By increasing the Vusers, it is necessary to determine how much load the server can sustain. 9. What is the relationship between Response Time and Throughput? The Throughput shows the amount of data in bytes that the Vusers received from the server in a second. When It is compared with transaction response time, throughput and response time get decreased. The peak throughput and highest response time would occur approximately at the same time. 10. What does vuser_init and vuser_end action contain? Vuser_init action contains procedures to login to a server and Vuser_end section contains log off procedures. 11. What is the difference between standard log and extended log? The standard log sends a subset of functions and messages to the output log and subset of functions depends on the Vuser type. Extended log sends a detailed script execution messages to the output log. It is mainly used during debugging when user needs information about Parameter substitution. 12. What are all the types of Goals in Goal-Oriented Scenario of Load Runner? Web_reg_save_param is the function that saves dynamic data information to a parameter. 14. What are the Load Runner testing process? 15. What is remote command launcher? The remote command launcher enables the controller to start applications in the host machine. 16. How can we develop the database vuser script? Vuser scripts can be developed either by recording with the load vuser script generator or by using Load runner vuser script template. 17. How do you load a load runner Agent? While running the scenario, loadrunner controller instructs the remote agent dispatcher to launch loadrunner agent. The controller instructs the loadrunner agent to initialize, run, pause and stop the vusers. 18. What is the difference between hits/second and requests/second? Hits per second means the number of hits the server receives in one second from the vuser. Request per second is the number of request the vuser will request from the server. 19. What are the advantages of load runner? 20. What is the vuser in the scenario? The vuser is the virtual users who can simulate the real users. The virtual users who take the place of real users’s operating client software, such as IE sending requests using the HTTP protocol to IIS or Apache web servers. 0 on: "Top 20 Load Runner Tool Interview Questions And Answers."